Aron Johannsson will be out of action for several weeks. 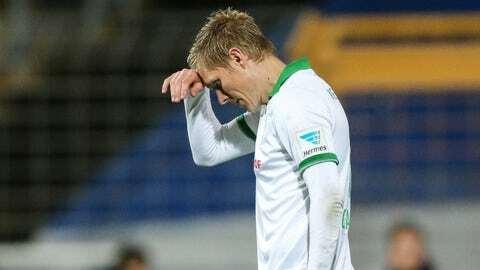 Werder Bremen says United States striker Aron Johannsson has undergone surgery on a hip problem and will be out for several weeks. Johannsson has been out since the end of September with a nerve problem in his right hip. He had the surgery in Berlin and will return to Bremen in the coming days to begin his rehab. Bremen’s team doctor Philip Heitmann says ”conservative methods” (of healing) could not get rid of the pain. Johannsson joined Bremen at the start of the season and has scored two goals in six appearances for the Bundesliga club.